Improve the collection of data from the schools and field offices and efficiently render delivery of data/information to various stakeholders. Support information requirements for planning, quality assurance, monitoring & evaluation and other decision making activities at all levels of the education system. Provide a venue for sharing, using and reusing knowledge within DepEd through improving access to data/information. 1. 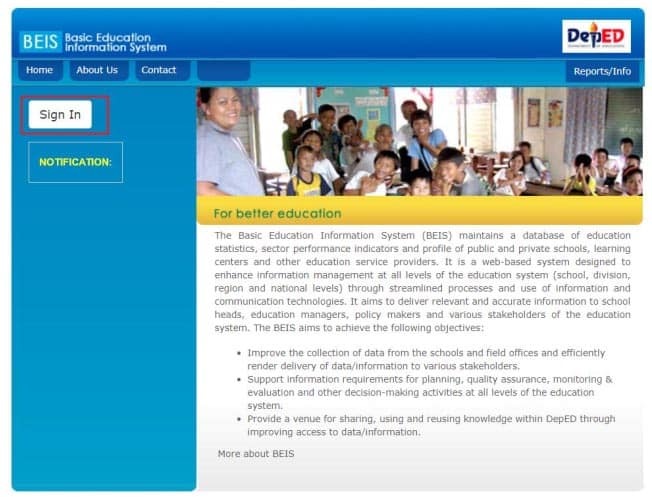 Go to EBEIS website https://ebeis.deped.gov.ph/beis/. Click Sign-In button. 2. Once login, click the Enhanced Basic Education Information System link. 3. Click the BEIS Data Entry link found on the left side panel. 4. Click the latest date under Cut-Off date column. 5. You will be directed to your School Profile page. Make the necessary updates (if needed). Then click the Update button. Or, click the No update button (if no changes have been applied). 6. Input the required data. Then, click the Save button. You will received a notification message that you have successfully updated the EOSY. 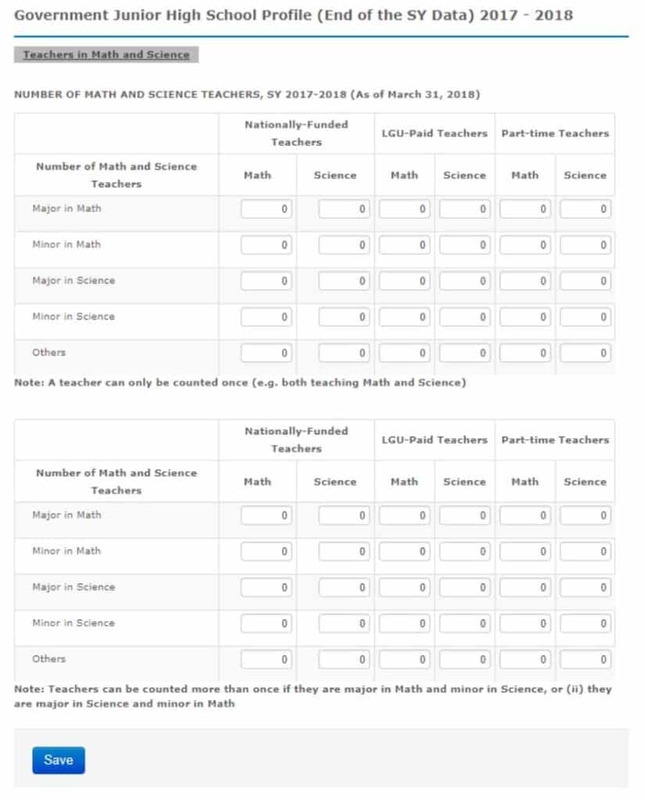 You can still update these tables by clicking the Edit button. I need the most recent data on survival rates on primary, secondary, and tertiary education, hoping you can help.